In 2014 we made a CD of people who live in Sheffield but have roots elsewhere, singing a song from their home country. The CD contains 13 tracks, with music from Liberia, Bengal, Slovakian Roma, Serbia, Southern Africa, Brazil, Chile, Ireland Japan and China. We launched it on the 27th September at St Andrews Church on Psalter Lane, one of the main places where we had done the recording. The Christ Abiding Ministries Choir at their recording session. We said we might take some photos of them during the session, and so they came looking amazing! 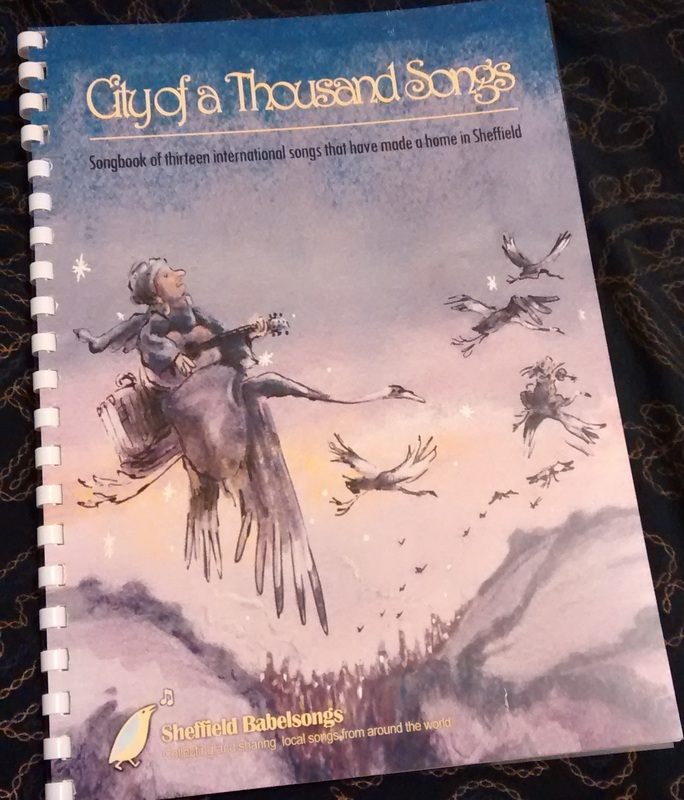 Making this CD and songbook was a great experience and through doing it we got to know lots of brilliant musicians in different communities in Sheffield. Thanks to everyone who contributed material, and to the Arts and Humanities Research Council for giving us the funding to do it.